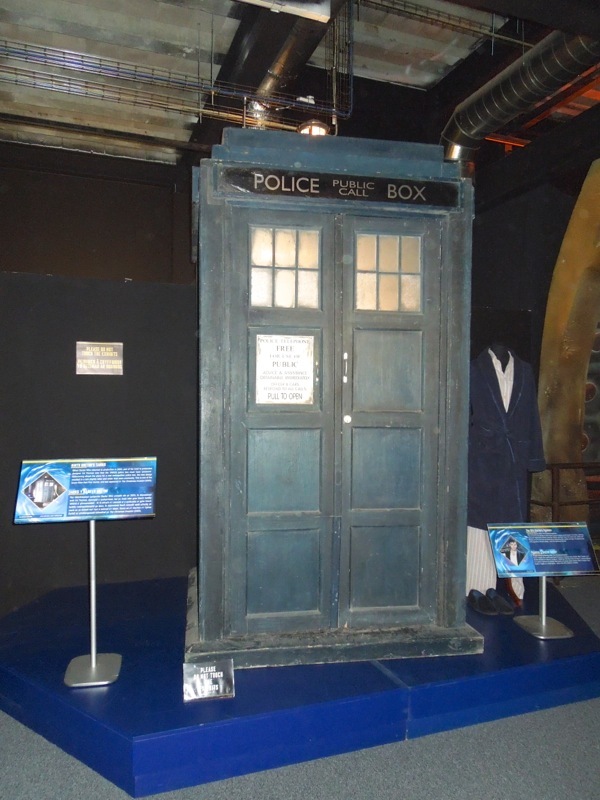 After a sixteen year absence missing from episodic television since its cancellation in 1989 (not counting the one-off TV movie in 1996), a new Doctor Who materialised on British screens on March 26, 2005, brought back to life by self-confessed Whovian Russell T. Davies and played by the enigmatic (and Northern) Christopher Eccleston. 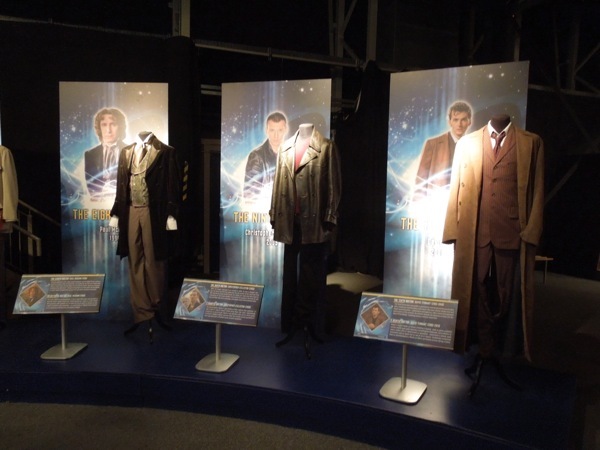 Here's a closer look at the outfits worn by the Ninth, Tenth and Eleventh Doctors on display at the Doctor Who Experience in Cardiff Bay, Wales on May 20, 2013. 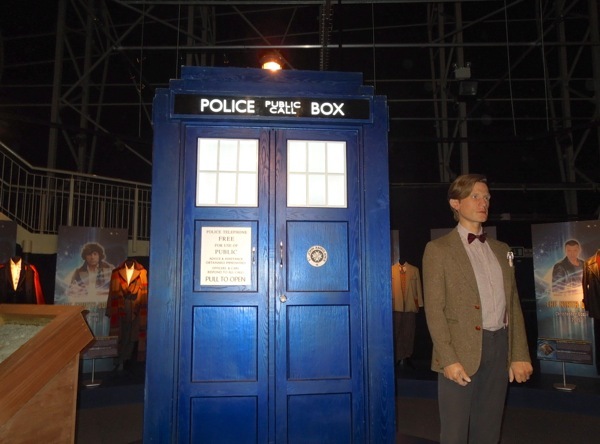 Yes, in 2005 the time and space traveling alien 'Doctor' was back with his iconic blue police box time machine, the TARDIS, and making all kinds of new friends, but most importantly his new Companion 'Rose Tyler', played by former teenage pop star, Billie Piper. 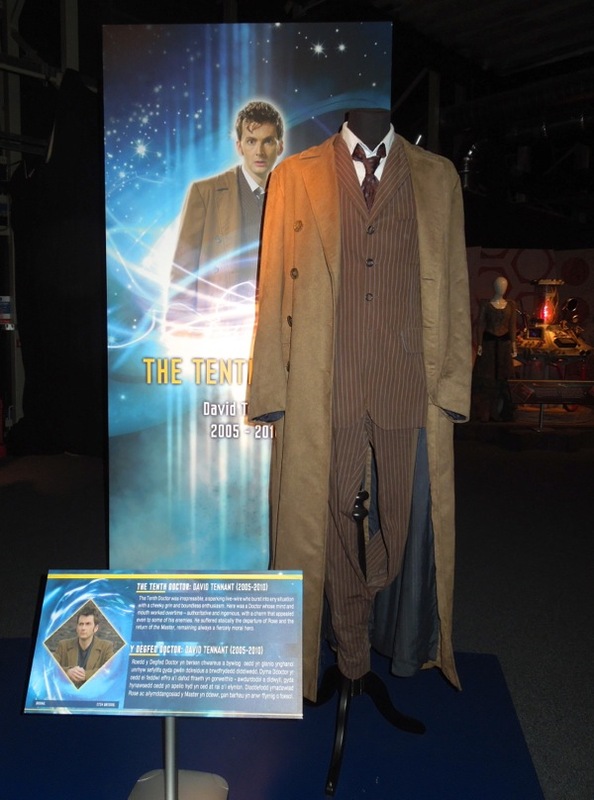 With every regeneration The Doctor takes on a new physical form and new personality, plus he chooses new attire to complete and reflect his new appearance. 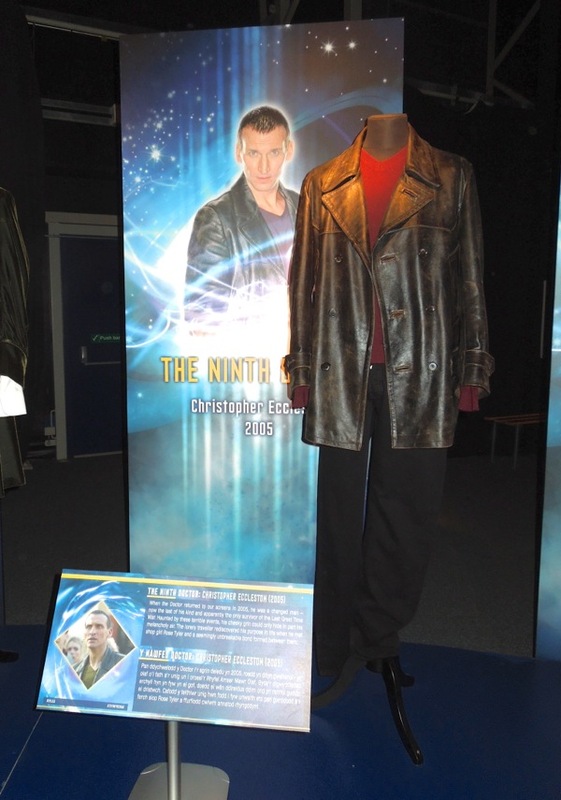 Rather cleverly for his TV revival, the BBC decided to make his outfit probably the least costumey it had ever been, wearing what some people would describe as modern, normal clothes. 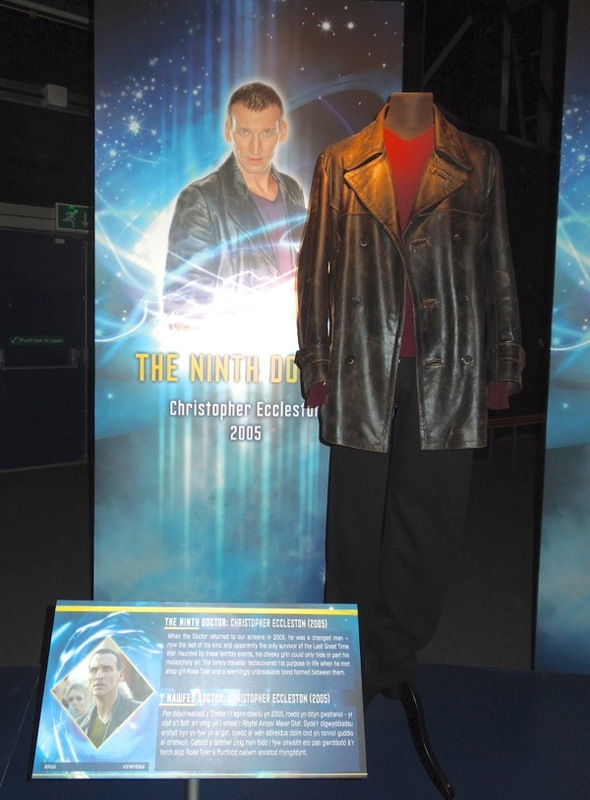 The black jacket and sweater really was a good decision, as it wouldn't scare off those casual viewers who thought Doctor Who was too sci-fi or kiddie from them, plus it allowed this Doctor's eccentric personality to shine through and stand out even more. A survivor of the Last Great Time War, the last of his kind of Gallifreyan Time Lords, he was haunted by these terrible events, at times serious, but also capable of a cheeky grin and quirky sense of humour. As well as re-introducing the world to the compelling space/time traveler, Christopher Eccleston also spent the least amount of time as the Doctor in an episodic series, just one season and then he was gone (not counting Paul McGann's Eighth Doctor in the TV movie). Personally I'm glad his tenure was so short-lived, as his departure ushered in a new Golden Age of Doctor Who with the arrival of David Tennant as the Tenth Doctor. 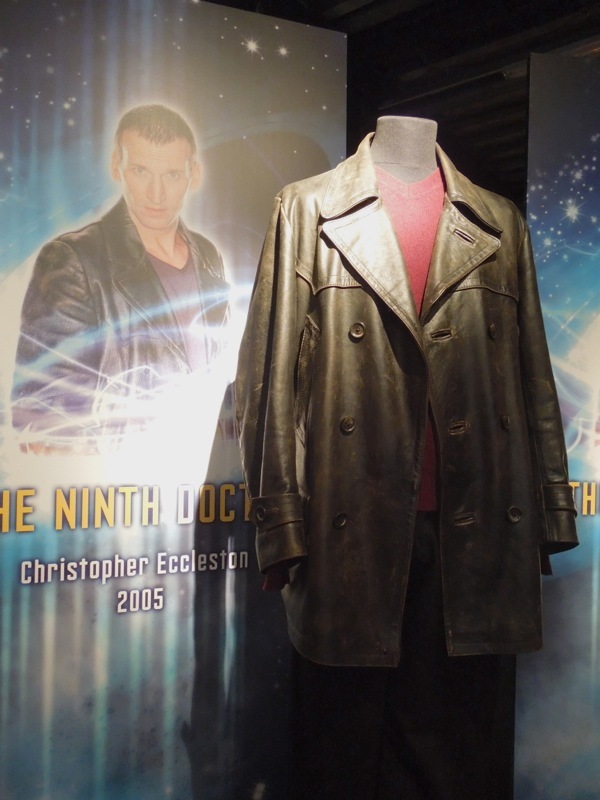 In the first season finale, The Parting of the Ways, to prevent the Time Vortex from killing Rose after their battle with the Dalek Emperor, the Ninth Doctor absorbed the temporal energy into himself, which triggered his regeneration into his next incarnation. 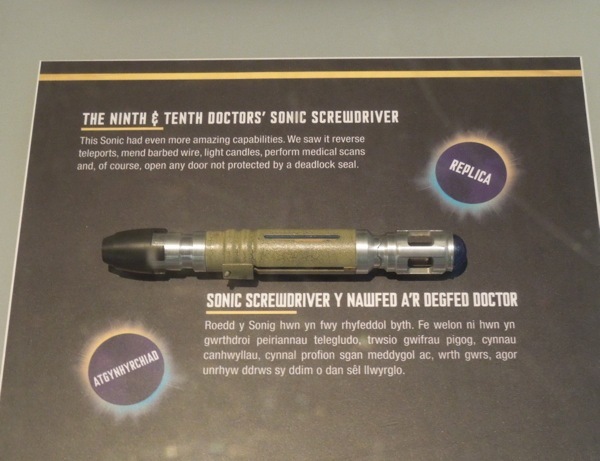 This version of the 900-year-old Time Lord was filled with much more enthusiasm and charm than his predecessor, but he also possessed a vengeful and unforgiving streak too. 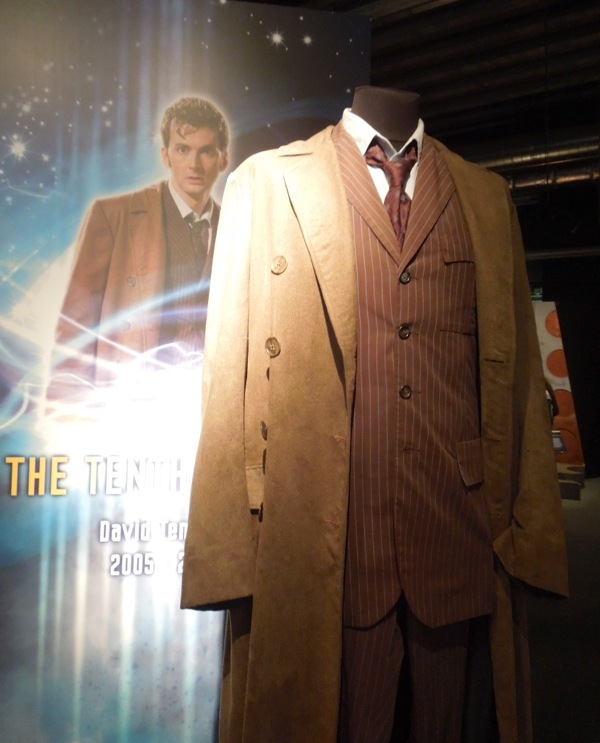 David Tennant's slim and foxy Tenth Doctor sported a four-buttoned pin-striped suit, shirt and tie, plus a light brown faux-suede coat (a treasured possession given to him by iconic singer Janis Joplin), finished off by different pairs of trainers/sneakers depending on the colour of his suit. 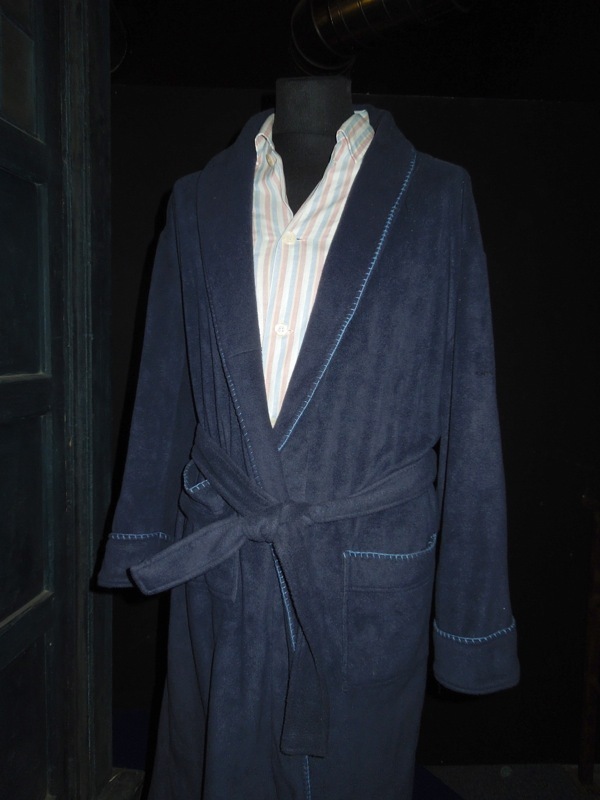 The longer overcoat certainly helped evoke the looks of Doctors past. 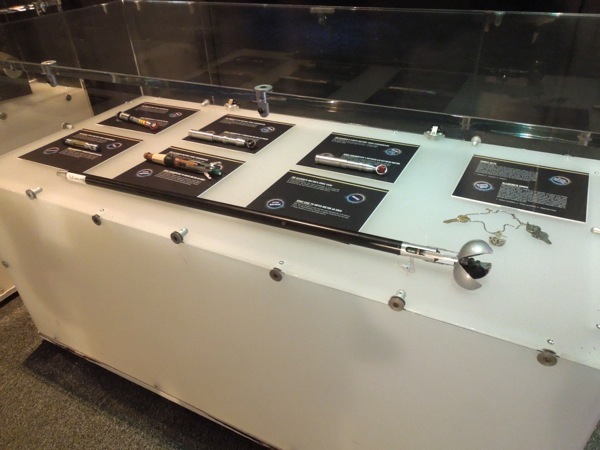 As well as continuing to travel with Rose Tyler, his other notable Companions included medical student 'Martha Jones' and the outspoken 'Runaway Bride' Donna Noble (quite possibly my favourite pairing). 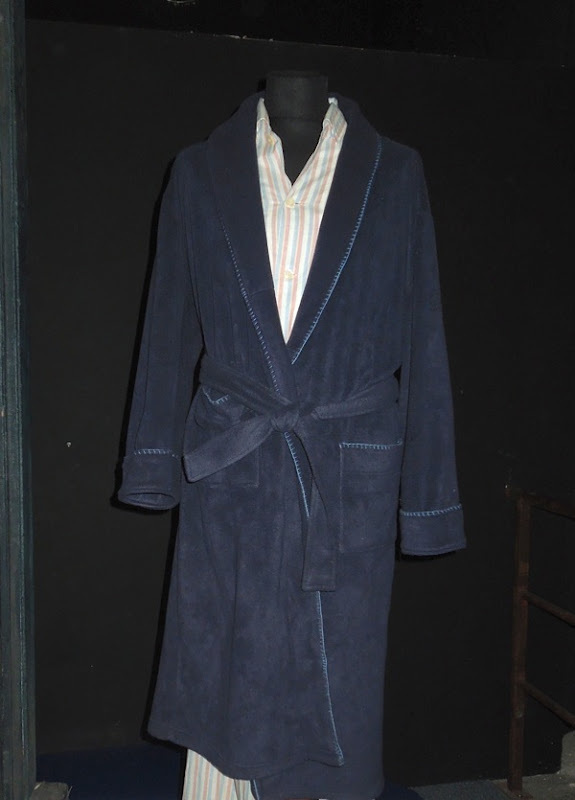 Also on display in addition to his signature look, were the dressing gown and pyjamas (the clothes belonged to a male friend of Rose's mum) that he wore whilst recovering from his premature regeneration in the 2005 Christmas Day special. 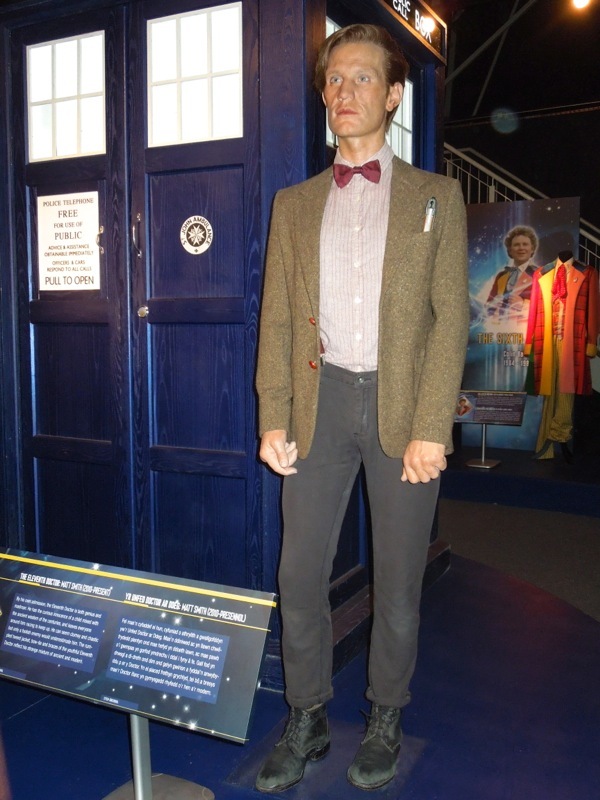 Finally, here's a waxwork and the costume worn by the Eleventh Doctor Matt Smith, with his signature tweed jacket and bow-tie (although this incarnation is also partial to a fez or cowboy hat). 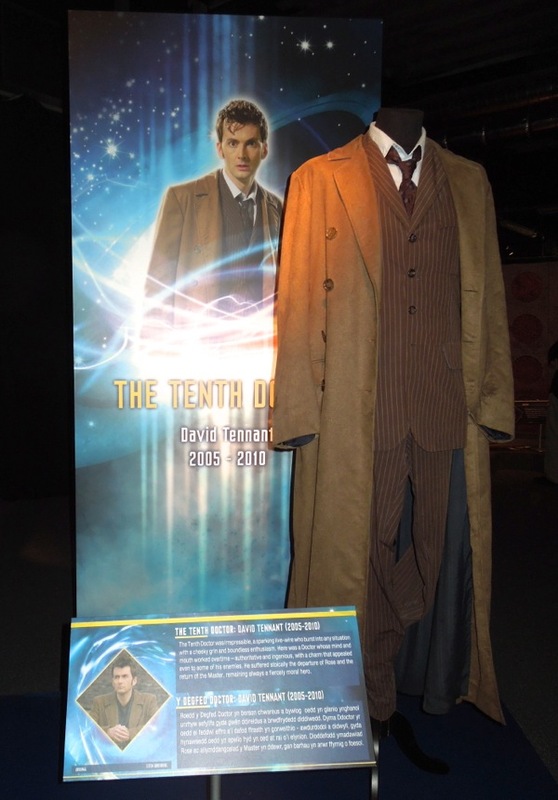 Be sure to check out more detail about the Eleventh Doctor Who and his Companions costumes in my earlier post. 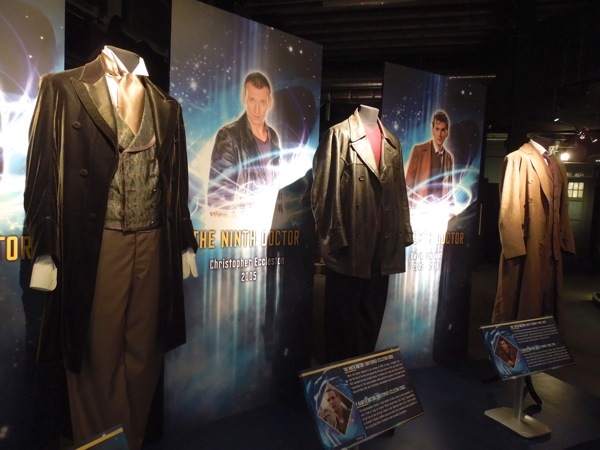 Recent events have called into question the numbering of these last three Doctors (when did John Hurt's Doctor exist? ), plus with Matt Smith leaving the series in the 2013 Christmas Special, we'll soon be treated to an entirely new Time Lord once again. 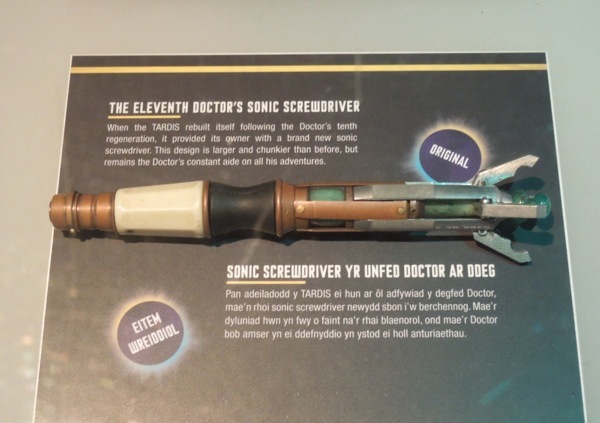 Plus here's the Eleventh Doctor's trusty Sonic Screwdriver, which was supplied when the TARDIS regenerated at the start of the fifth season of the revival Doctor Who series, plus a Sonic Cane that the Time Lord uses in the 2011 episode, Let's Kill Hitler, to complement his top hat and tails. 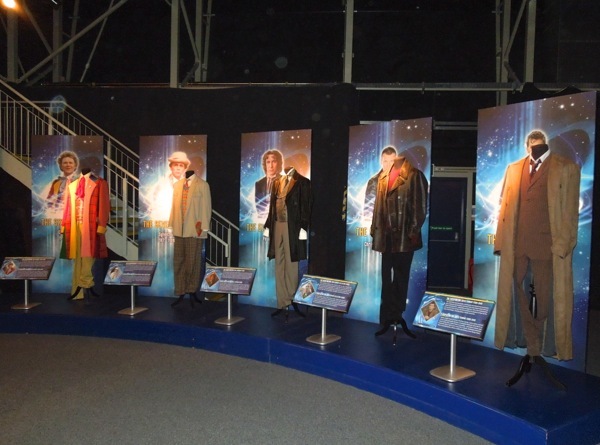 If you're a fan of the 50-year-old show, be sure to also check out the First through Fourth Doctor Who outfits, plus Fifth through Eighth Doctor Who costumes, plus much more cool vehicles, props and monsters from the Doctor Who Experience.